There’s no other way to put it: Cosigning a loan or lease for someone is a huge financial risk. When you cosign, you are promising to pay back a loan if the borrower stops paying, either because they can’t, or won’t. It’s a generous act, to be sure, but far too many people don’t educate themselves on the risks involved with cosigning. Keep reading to find out the dangers involved in cosigning, and questions to ask yourself and your loved one before entering into this precarious agreement. What does it mean to cosign on a loan? Essentially, cosigning a loan means that you are taking on a risk that a lender would not take. When you cosign, you agree to assume responsibility for a debt for another person if they default on a loan. This is a very generous thing to do for another person. Your credit score is put at high risk when you cosign a loan. There will be a hard pull on your credit report, and your debt-to-income ratio will rise, which may cause your credit score to fall. The effect of this kind of activity on your credit may make it hard for you to obtain new credit on your own while the loan is being repaid. If the borrower defaults, and you cannot make the payments for them, the default will show up on your credit report as well, severely damaging your credit score. Another serious risk of cosigning is that it can claim a considerable bite out of your savings or income if the borrower defaults and the lender comes to you for payment. Unless you can easily absorb the cost, cosigning is a bad idea. A risk of cosigning that can’t be put into numbers is the damage that it may cause to relationships, as well as the emotional strain it can put on both parties. From beginning to end, the process of being asked to cosign is rife with tension. Before agreeing to cosign for someone, ask yourself the following questions to help sharpen perspective about the situation. Why do they need a cosigner? Does your loved one need a cosigner because they are just starting out on their own and haven’t established credit yet, or do they have a history of unwise financial decisions that led them to need a cosigner? If it’s the latter, you may want to ask yourself what makes you think this time around will be any different than the series of choices that led them to this situation in the first place. What do they need the loan for? Request detailed information from your loved one on what they need the loan for. If they are trying to buy something they don’t need, that should be a huge red flag. How much are they trying to borrow? 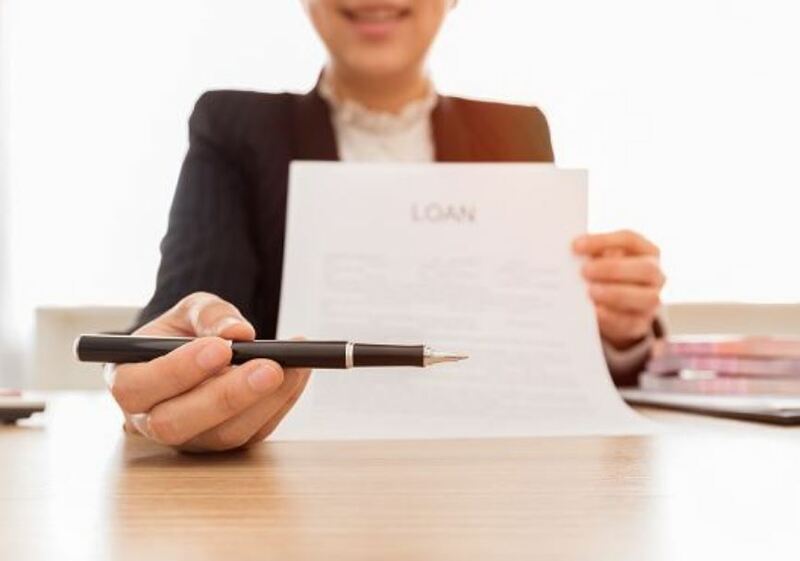 If your loved one is applying for a substantial loan for something that they could easily buy with less money, it’s another indicator that they are overextending themselves and that trouble lies in store for you if you cosign. For example, if you are asked to cosign on a $20k loan for a car, ask if your friend or family member would be better off getting a $10k loan instead and find a less expensive car that will still get them where they need to go. Do I have the means to pay off the loan if it comes to that? Look carefully and honestly at your budget and savings: If the borrower decided to stop making payments, do you have enough liquid assets on hand to pay it off? If the answer is “no,” then you are playing with fire by cosigning. All of that said, you may still be considering cosigning so as not to leave your loved one in a lurch. Or, you don’t want to put a strain on a relationship by declining to cosign. There are still things you can do to help. If you have the means, consider either gifting or fronting the money that your loved one needs. Essentially, that is what you’re doing when you co-sign a loan or lease. However, if your loved one cannot repay, you won’t incur the fees, penalties, and interest that accumulate when a loan goes into default. Before you consider this option, unless the funds are a gift and you do not expect repayment, agree to terms and a payment plan in writing before proceeding. If the borrower can wait a while before needing their loan, help them build or repair their credit. It may take a year at the very least, but you can help them learn responsible personal finance and get them to the point where they will not need a cosigner in the first place. There are few and rare cases in which cosigning on a loan or lease is a good idea. If you do cosign on a loan, remember that you can ask to receive monthly statements. When you get them, be sure to take note of any late or missed payments and try to head off the problem before it worsens. Some loan or lease terms allow for cosigners to be released after a certain amount of time if the borrower establishes a pattern of on-time payments. If such conditions are not written into the contract, try to get them included and get released as soon as possible, even if the borrower has been diligent in making payments. You’ll free up your income and get your credit back on track. It’s up to you to manage the risks involved when you cosign. Did you cosign a loan for a family member or friend? Tell us about your experience – the good and the bad – in the comments below! Bio: Irene Hernandez can personally thank DebtWave Credit Counseling, Inc. (SDFLC) for helping her turn her financial future around. She is a is a freelance writer, editor and creative consultant in Los Angeles, where she lives with her wife, their new baby, and their books.